A short 20 minute drive Northeast of Pisgat Zev, Jerusalem, Kochav Hashachar has made a name for itself over the past 20 years as a "nice guys" community. 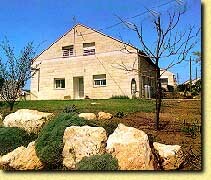 Currently home to some 300 families, the town is classified as a "Yishuv Kehilati Dati" or religious community settlement. Kochav Hashachar, meaning peak of the morning star aims to be just that: a bright light shining the Torah way of life, with its emphasis on mutual respect. All kinds of people, with all sorts of backgrounds call Kochav Hashachar home. The yishuv boasts Ashkenazim and Sepharadim, Veteran Israelis and Olim Chadashim (among them quite a few Americans, Australians, South Africans, and Brits), representing nearly every corner of the Jewish diaspora, now gathered together in a unified Jewish community. In its own way, Kochav Hashachar itself is a testimony to the miraculous ingathering of the exiles in our day. 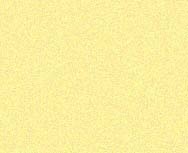 These values do not stand alone, they go hand in hand with a commitment to mitzvot and limud Torah. There is a yeshiva gevohah (Yeshivat Noam Siach - Kochav Hashachar), "Kollel Yom Shishi," two daily Daf Hayomi shiurim and weekly classes for all parts of the population. 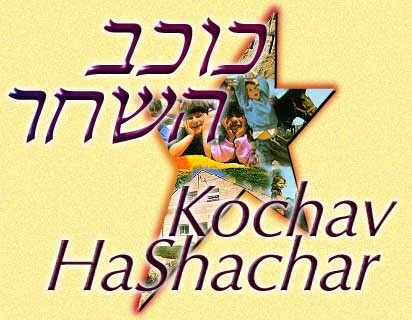 As a community, Kochav Hashachar attempts to attract and absorb families with similar priorities. The way of life is a clear expression of those priorities. 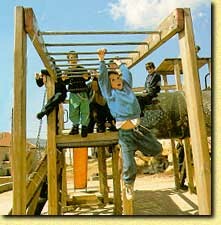 Upon entering the settlement your eyes are struck by the prominent colorful playgrounds, signifying the child-centric reality that Kochav Hashachar has created for its 1,100 youth, while further up the road, smack in the middle of the town, is the sparkling new Beit Knesset dedicated by the Rennert family of New York. If you are looking for a religious, well-kept suburban town close to Yerushalayim, a strong, caring community and a great place for your kids to grow up, then Kochav Hashachar may be the place for you.